World Faith Gambia goes to Germany! Voices from the 2017 POWER Graduates! Climate Change, Mining, and Youth Engagement in Malawi! 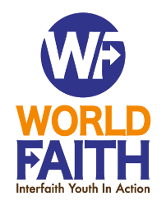 World Faith Malawi has been busy! One of their recent projects aimed to generate interest and build capacity of youth and women group leaders to fully understand issues of extractive mining, legislative, policies and institutional frameworks that govern the mining sector in Malawi. This was achieved through a day long capacity building training workshop, attended by 50 men, women and youth from the Kaseghe, Chisi, Mwanjasi, Mwenelondo communities in Karonga District. During the workshop climate change science was discussed, including causes, impacts and what communities should do to mitigate this. The participants also discussed extractive mining issues focusing on practices, legislation, community involvement, participation, benefits, as well as transparency and accountability. They also considered practices that are fuelling environmental degradation and the extent to which mining poses a threat to the environment and human health. At the end of the workshop most of the leaders were convinced and motivated to getting involved in community level programming through local governance structures. They were keen to take action to collectively voice their concerns on matters that affect them. Generally, youth and women leaders increased their capacity, understanding and their need to respond and act on mining and emerging conversations at all level. The project was achieved through partnership and collaboration with Karonga Catholic for Justice and Peace (CCJP) and Karonga Civil Society Network, who provided the technical support needed to make the implementation of the project. Great work Dominic and World Faith Malawi!